Have you ever taught that how it will be like dinning in the space with your partner? If you really thought it so then get ready for an adventure in 2022. The veteran space agency had announced that their space hotel will host its first guest in 2022. 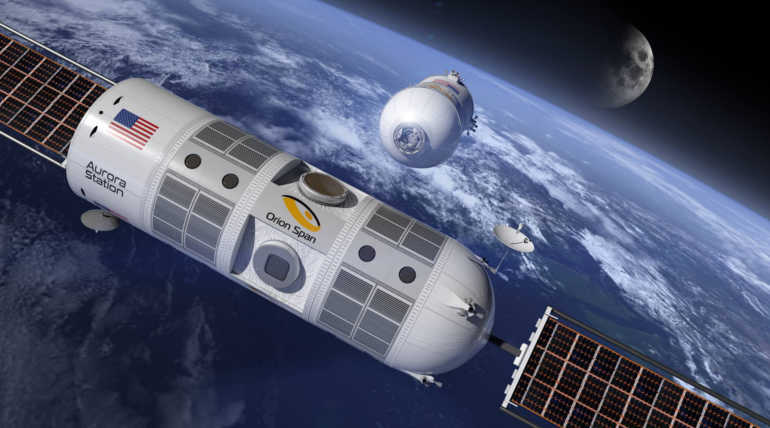 The Houston based Orion Span, a private space agency that shining with more than a century's space kno0wledge declared that it will launch its first model Aurora station the first luxury space hotel in late 2021. Frank Bunger, the founder of Orion Span said that "we want to get people into space because it's the final frontier for our civilization". He also said that they are not intended for selling a room but an unbelievable experience of an Astronaut. The founder said that the space hotel will be in the size of a large private jet and it will accommodate only six at a time where four will be the guest and remaining two will be the crew members. The hotel will hold them all for 12 days by orbiting the earth for every 90 minutes. The hotel will be stabilized at 200 miles above the earth and start to orbit the earth at a high speed. If everything goes as planned than the guests will be supposed to witness 16 sunsets and sunrises on a day a total of 384 sunsets and rises in 12 days. The interested parties can enjoy the luxurious adventure for $9.5 million and the parties can also get hold a vacancy for $80,000 as the station has been already booked by for four months. Before stepping into space the guests will be trained for three months to get adapted to the zero gravity and get certified before boarded. In the new age of space race, the Aurora station is considered as one of the next steps of mankind. Still, there is a lot to know about space but these type of unprecedented moves of some space agency showing us that the future of mankind in space is approaching them rapidly. The prize $9.5 million for 12 days stay in space is considered as more affordable while some adventure lovers paying $20 to $40 million to make into the International Space Station(ISS).